Buyers for the first time ranked Hyatt Place as the top select-service brand, giving it top marks in all but three of the survey's categories. 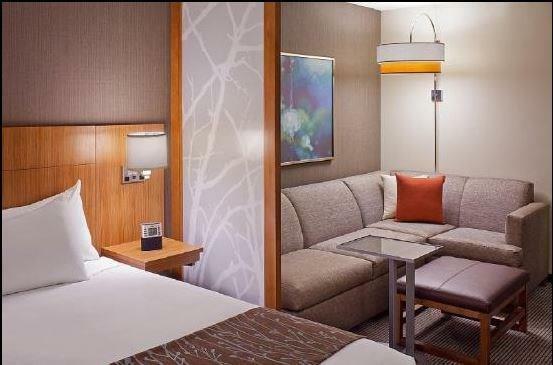 Hyatt Place is one of the youngest entrants to the select-service tier to earn top marks (Business Travel News, Sept 10, 2012). One of the country's largest, land-based casino's just a short walk from our front door! Historic World War II museum just a few short blocks from the front door of our hotel! New upscale, Outlet Mall which opened just footsteps from our front door in May of 2014! 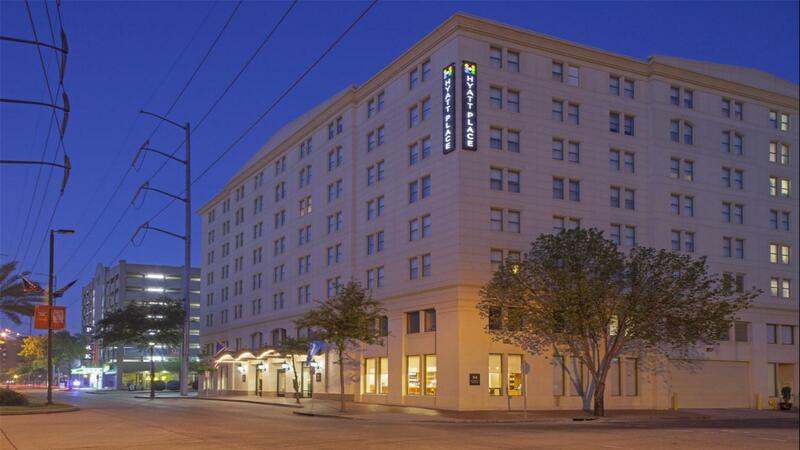 The Hyatt Place New Orleans/Convention Center hotel is located in the heart of New Orleans’ downtown Arts District, across the street from the Convention Center, and within walking distance of award-winning restaurants, museums and art galleries, shopping, Harrah’s Casino, the riverfront, Aquarium of the Americas, and the French Quarter. The hotel offers a dine-in atrium restaurant, a fitness and business center, three meeting spaces, and complimentary wireless Internet access in guest rooms and public areas. The hotel’s convenient location also offers a direct route to the city’s airport, only 20 minutes away.